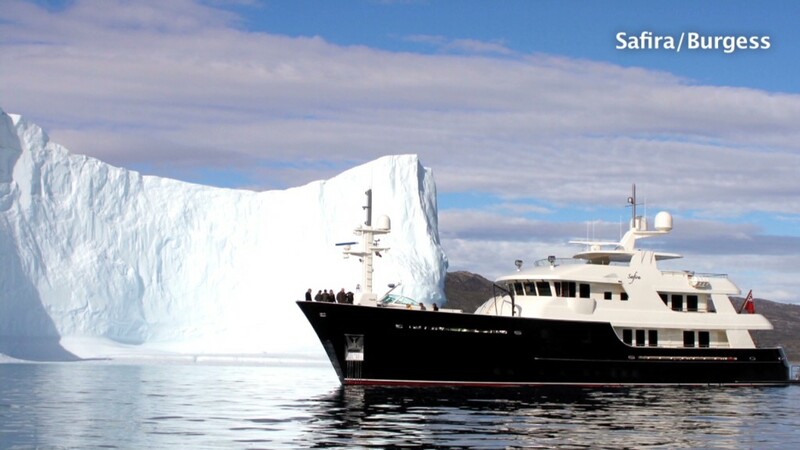 Safira combines the technical capabilities of a commercial exploration vessel with green technologies and the luxuries of a super yacht. 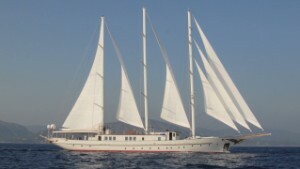 Sailing yacht Montigne combines all of the amenities and luxuries of a motor mega yacht with a romance and tradition of sailing. 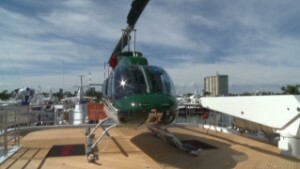 Mi Sueno is a luxury yacht with a helicopter landing deck allowing guests to arrive fast, in style and in total privacy. 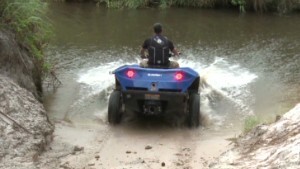 The $42,000 high-performance amphibian ATV can speed up to 45 mph on both land and water. 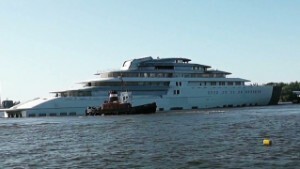 591-feet long, the mega-yacht known as Project Azzam, rumored to be built for a Saudi prince, will be the longest private yacht in the world. The Dream, a 'Rolls Royce' of mega-yachts, offers a three-room master suite, six guest suites, a gym and an elevator that takes guests to four living levels. 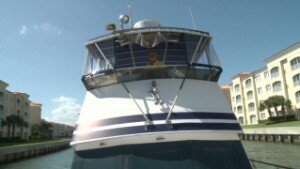 Meet the couple who lives aboard a 44-foot boat they sail up and down the Atlantic in search of optimal weather all year long. Take a behind the scenes look at how one chef whips up gourmet meals for exacting mega yacht owners and their guests. 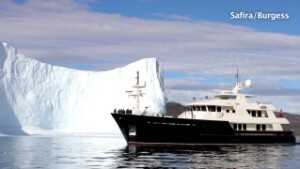 The Lady Linda can accommodate 12 guests in six luxurious suites, including one with his-and-hers bathrooms and a separate office.